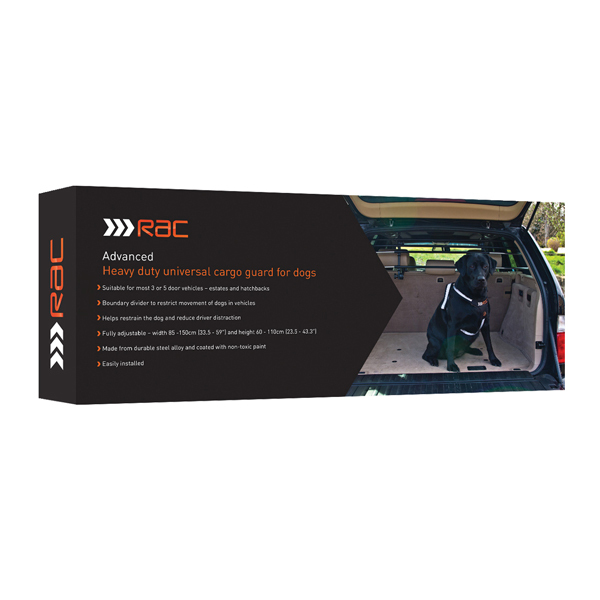 This RAC Cargo Guard helps to restrain your dog and reduce driver distraction, for a smoother ride for everyone. Suitable for most 3 or 5 door vehicles - estates and hatchbacks, it;s coated with non-toxic paint. 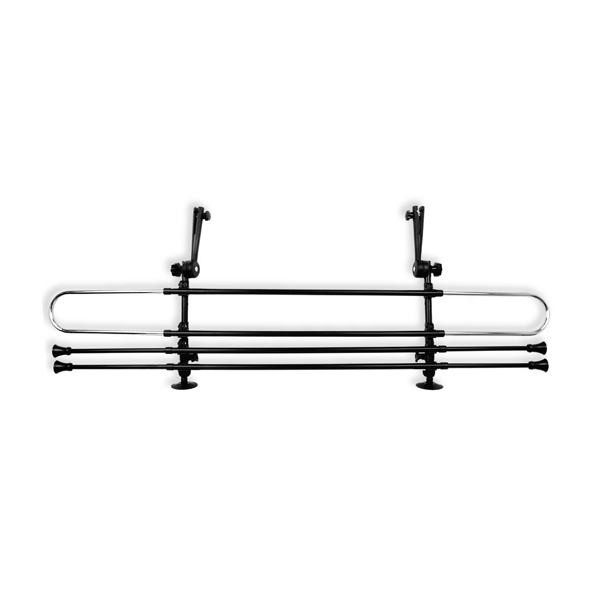 Easily installed, this guard is perfect for car journeys with your dog, allowing your pet to move around without distraction to the driver.